Lots to talk about in the Euro Optic Ltd. Booth. The work of art pictured above is the Accuracy International 12 AX PSR in .338 Lapua Magnum. In case you haven’t been keeping up with the precision tactical rifle community, Euro Optic Ltd. is now an Accuracy International Dealer. So, in addition to being your one stop shop for high end EU and domestic optics you can also avail yourself of some of the finest platforms available from companies like AI, SAKO, Heckler & Koch, Blaser and Benelli. I’ll begin by pointing out a few of the subtleties.This AI AX has an organic 30 MOA Picatinny rail which greatly facilitates extended range shots with increased accuracy. Most magnified optics have an operating limit, a maximum elevation adjustment envelope. Operating at the outer fringes of that envelope diminishes accuracy. The additional 30MOA of elevation contributed by the rifle’s Picatinny rail ensures that you remain in the middle of your optics’ operating envelope so adjustments remain precise; critical in extended range shooting. To further enhance performance, Euro Optic selected an Hensoldt magnified optic, the ZF 3.5-26×56, mounted on a Recknagel mount. The mount itself deserves a dedicated post but I’ll summarize its benefit by saying that if you find yourself needing some extra elevation range while in the field, you can make that adjustment using the Recknagel mount. The folks at Euro Optic selected the Long Range Accuracy bipod and it too deserves a dedicated article. 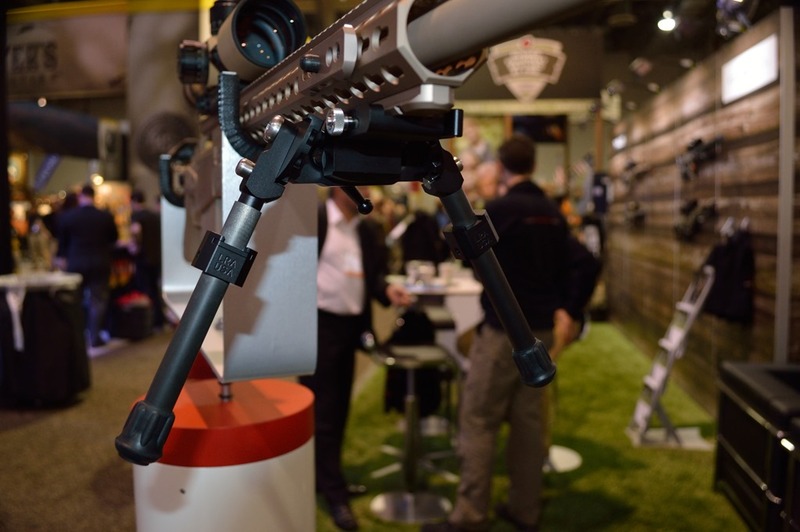 The LRA bipod is highly configurable and comes in two variants; the Light Tactical and Heavy Tactical. It’s an impressive piece of kit and we’ll get you more details. 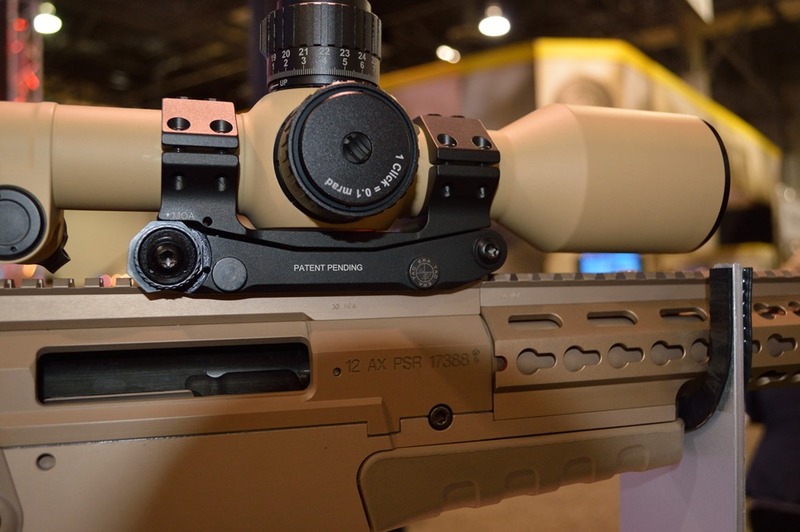 This entry was posted in 2014, Accessories, Advanced Chassis Systems, Optics, SHOT SHOWS, Sniper Systems and Tools, Weapon systems and tagged bipod, Cassidian Optronics, Euro Optic, Hensoldt, Long Range Accuracy, mount, Recknagel, scope. Bookmark the permalink.